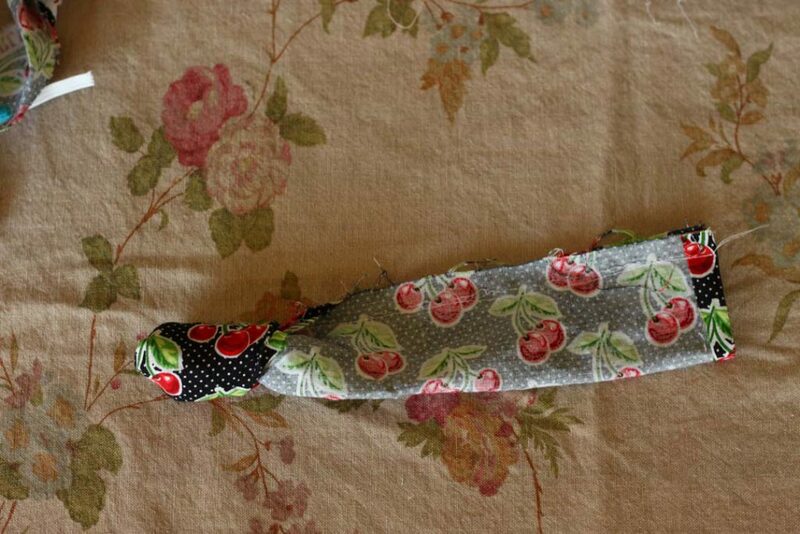 To begin, cut a strip of fabric about 4-inches wide, by 20-inches long, and one piece of elastic 8-inches long. 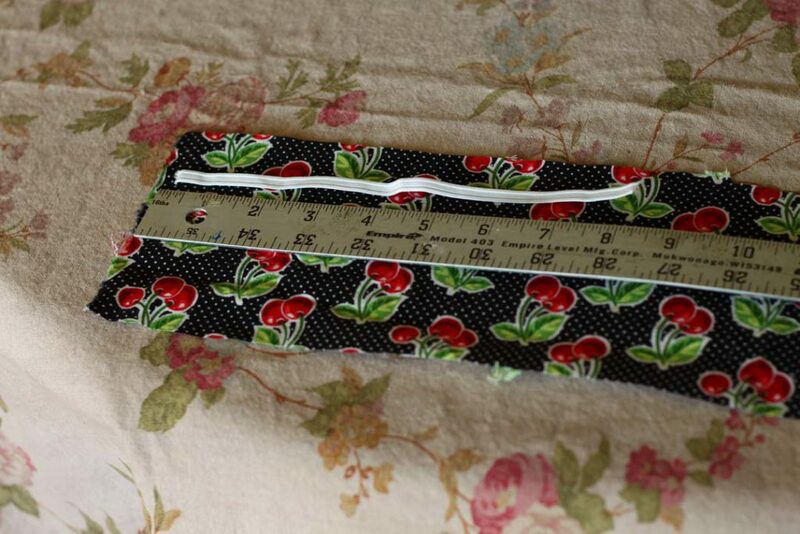 On each short end of your fabric strip, fold over 1/2-inch toward the wrong-side, and press to hold. Fold your fabric in half the long way, right sides together. Pin as needed. 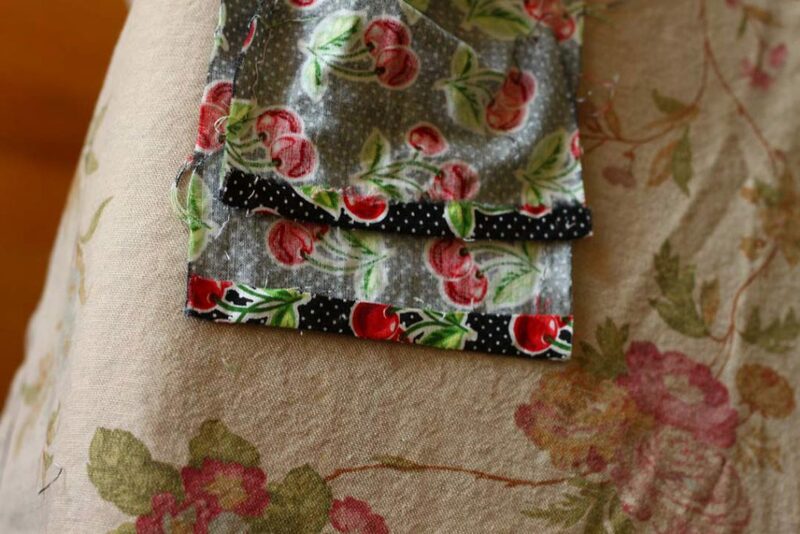 Sew across the open edge, leaving a 1/2-inch seam allowance. 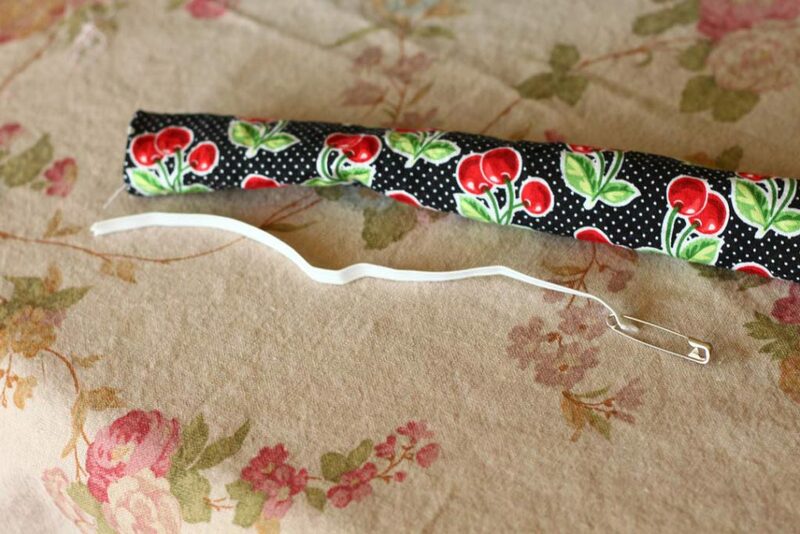 Turn the tube you’ve made right-side out. Fasten a safety pin to the end of your elastic, and thread it into the tube. Use a pin to fasten the end of the elastic to one end of the tube. 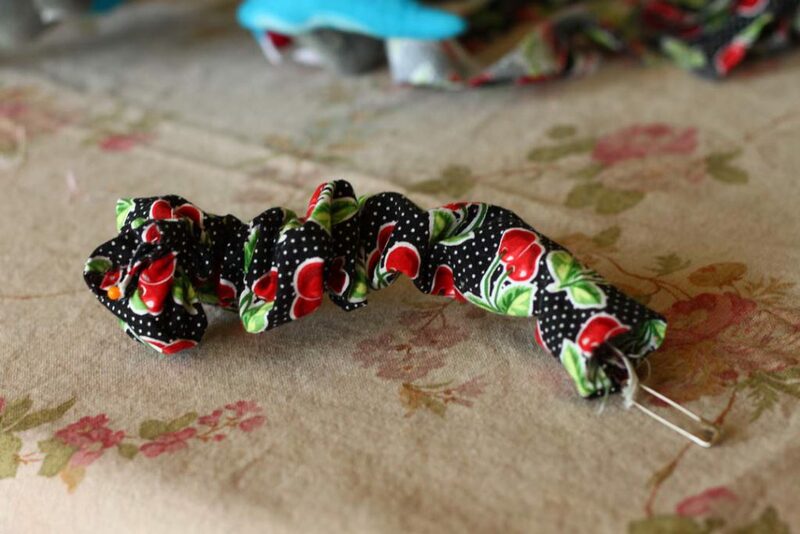 Then use the safety pin to help you thread the other end of the elastic all the way though to the other end of the tube. 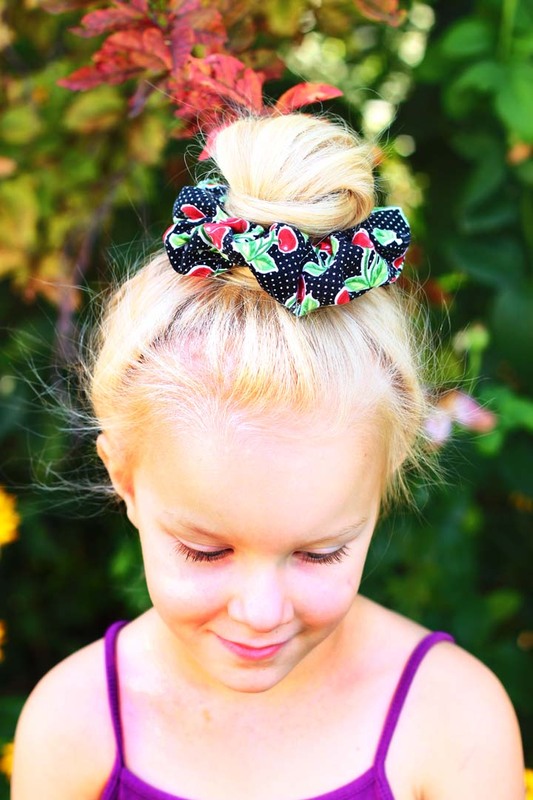 Make sure your elastic is not twisted, then hold the ends together, and sew over the ends several times to hold them together. 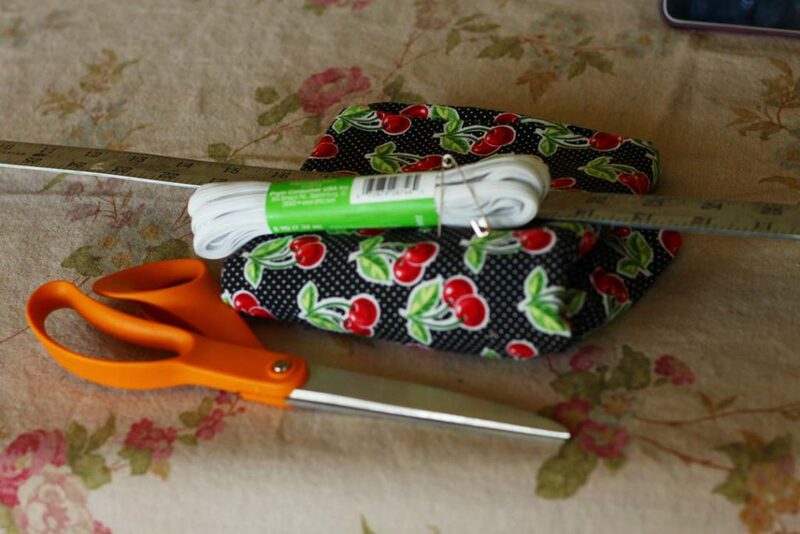 Trim extra elastic, if desired. 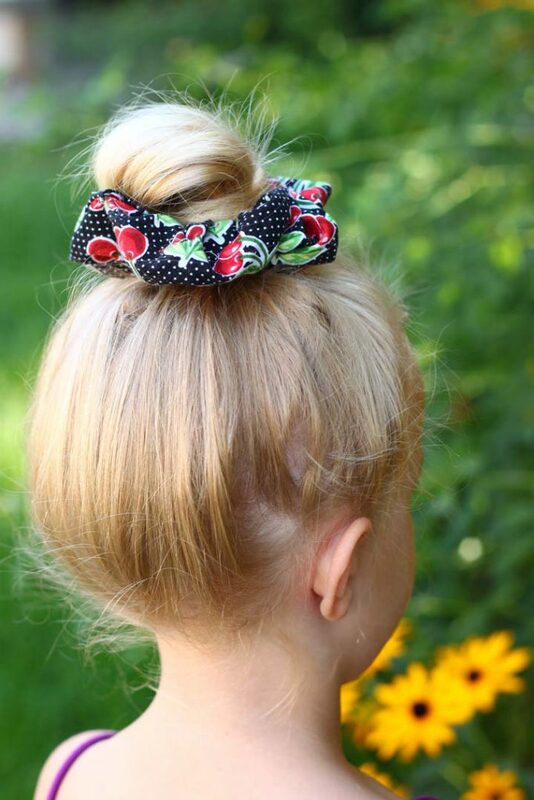 Pull the edges of your scrunchie together, tucking one end of the tube into the other. 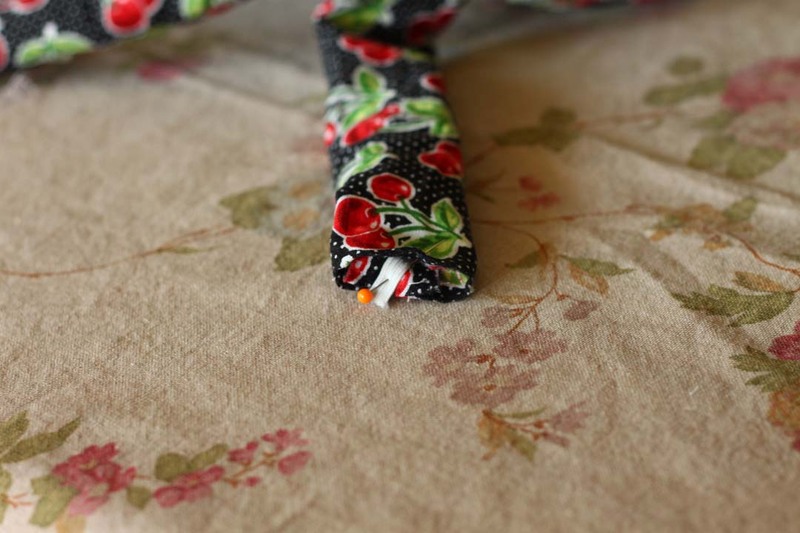 Stitch across the seam with your sewing machine. 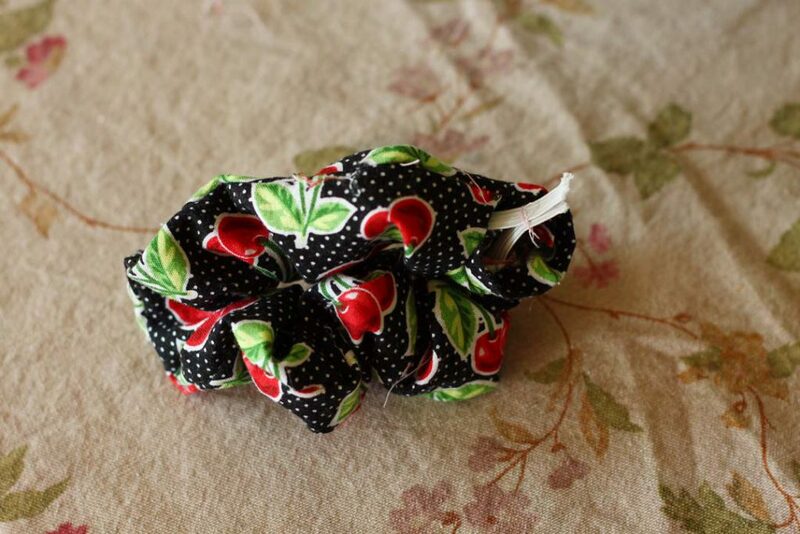 If you’re picky about having a flat spot in your scrunchie, feel free to carefully hand stitch the seam shut. Honestly, once you put the scrunchie in your hair and twist it around, not one is going to notice the flat spot. 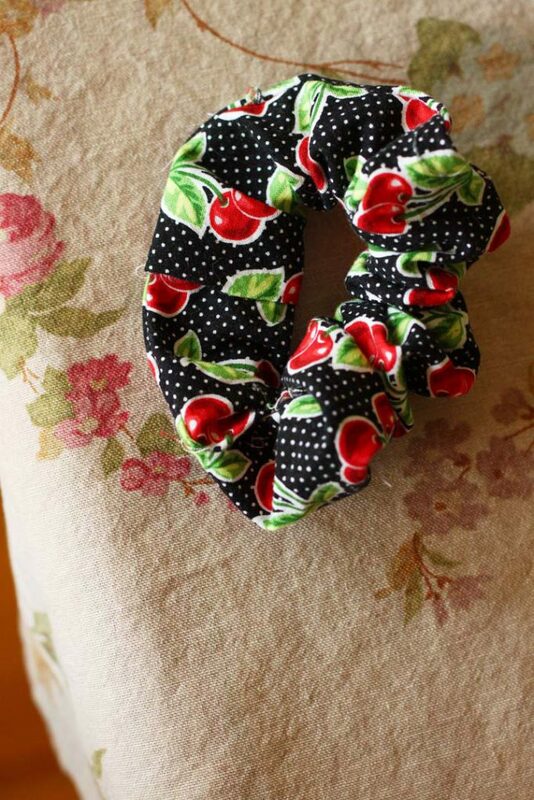 Try using different types of fabrics to make some scrunchies: velvet, silky, tweed. These fun little accessories are great scrap busters, and sew up in no time at all. 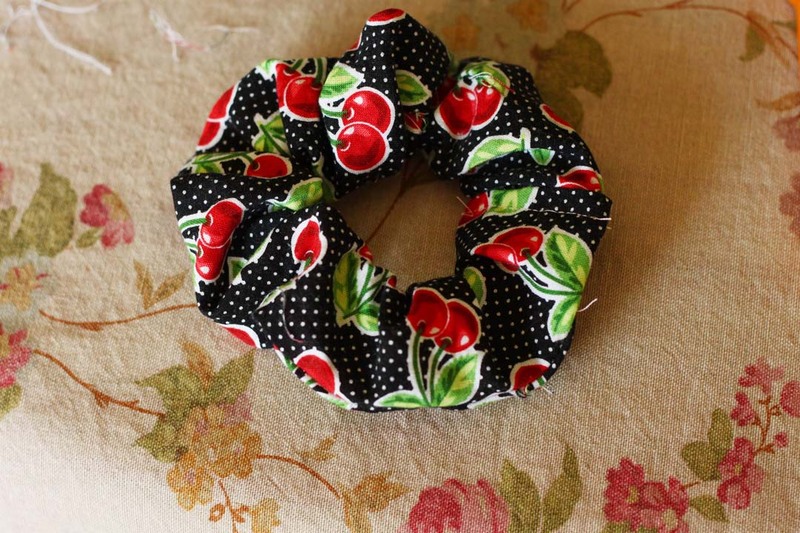 Make them for yourself, your daughters, to give as gifts–scrunchies for everyone!